Many people find effective a natural home remedy against migraine: a cup of coffee, without sugar and with a bit of lemon juice. Usefulness of such a simple remedy is frequently referred in Italy. On what principle does it work? It is well known that caffeine contained in coffee beverages has vasoconstrictive properties, thus counteracting the migraine vasodilatation; this is the reason for the existence of caffeine-containing analgesics. 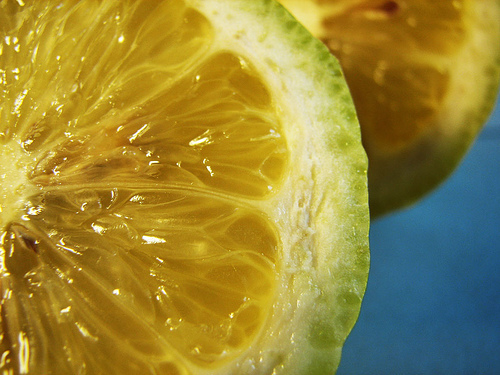 Let us consider the effect of adding lemon to coffee according to traditional Chinese medicine dietetics. In Chinese dietetics food is classified according to five natures (hot, warm, neutral, cool, cold) and five tastes (sour, bitter, sweet, pungent, salty). Coffee beans have bitter taste and cool nature, acquiring warm nature after being roasted; lemon has sour taste and cool nature. 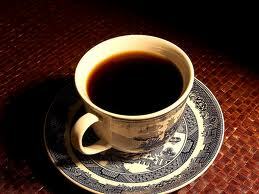 Coffee relieves Liver Qi (energy) stagnation, one of the most common causes of migraine. Releasing the energy stucked in liver a strong sense of mental and physical vitality is experienced. Furthermore coffee purges the gallbladder easing bile flow: this is part of the qi-dispersing action and prevents formation of gallstones and alleviates constipation. Bitter taste in Chinese dietetics is related to detoxifying effect of coffee, which promotes bile flow and has diuretic properties (cleansing toxins from body trough the liver and renal system). Apart from bitterness coffee has a sweet background, since a small amount of sugar easily makes it sweet, differently from other bitter foods. The sweet flavour has tonifying effect on digestion and assimilation of food ( tonification of Spleen in Chinese medicine). These are the beneficial effects of moderate intake of coffee, between one and three cups a day, according to Traditional Chinese Medicine. Lemon with its cool nature lessens the warmth of coffee; moreover the sour taste of lemon acting on Liver and Gallbladder directs Qi downward and subdues Liver Yang rising towards the head and causing headache. Mixing coffee and lemon may be beneficial, according to Traditional Chinese Medicine, in cases of Liver disharmony, first of all when emotions like anger affect the Liver. Is there any other connection between lemon and headache? Some people like very much lemons and lemonade. One of the leading homeopathic remedy prescribed for migraine is Belladonna; in such cases there is congestion of head with throbbing and violent pain in the right side of head, heat of the head and red face. Belladonna is indicated if the patient also desires lemons and lemonade. There is a noteworthy relation between the rise of Liver Yang described in Chinese medicine, alleviated by lemon, and the picture of Belladonna migraine with intense desire for lemon or lemonade. Contraindications for coffee and lemon: hyperacidity and gastric disorders like peptic ulcer. Categorie: headache | Tag: coffee | Permalink.